Krystel von Kumberg in World Affairs on 6 November, 2016. 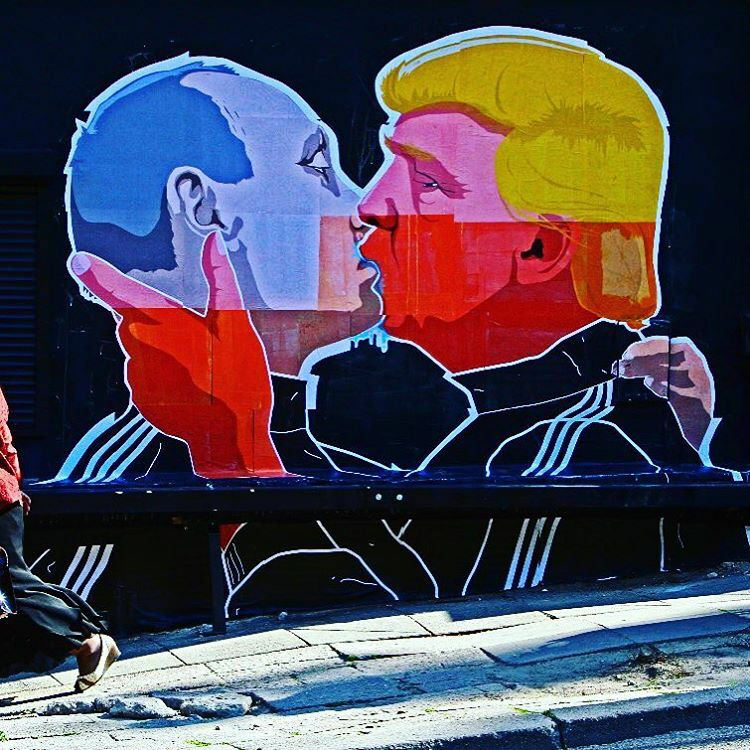 Donald Trump, a Kremlin pawn, a ‘puppet’ of Vladimir Putin, is also one of the two final candidates for the US presidency. The Russian government seems to be continuously antagonising the US and its European allies. Joseph Stalin had also tried to pull the strings in a US election back in 1948 which means the Soviet past is still heavily influencing the Russian mentality and its policies. Nothing appears to have changed. Not at face value anyway. The hacking of the Democratic National Committee computer system and Hilary Clinton’s email account are acts of political sabotage aimed at disrupting the US election. This time, with advanced technologies, the concept of the Cold War seems even more threatening. For us, the Cold War seems like a distant memory, a tale of the past that could never really repeat itself. But the crucial question remains- did the Cold War ever really end? 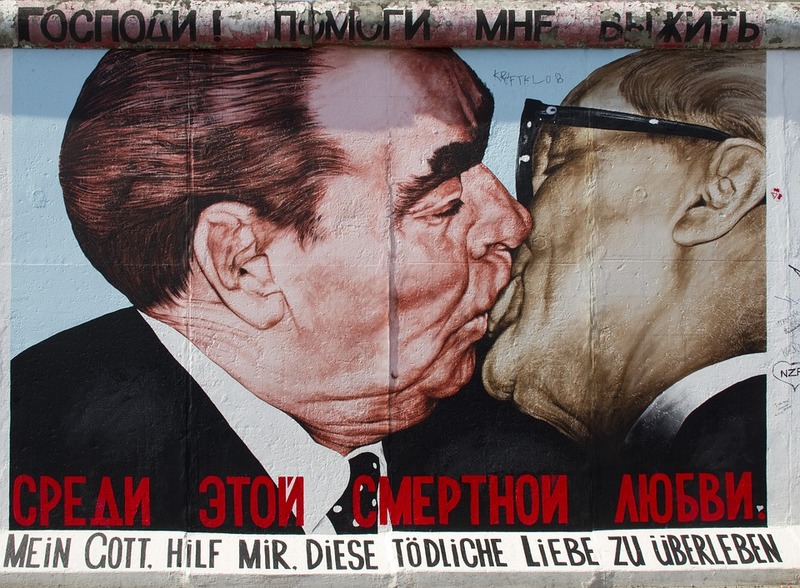 Fraternal Kiss of Leonid Brezhnev and Erick Honecker, graffiti on the Berlin Wall. ‘My God, Help Me to Survive This Deadly Love’. 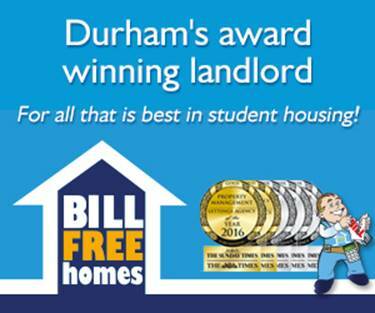 It has certainly re-clothed itself. The Russian president desires to preserve the support of the Eastern Bloc by trying to influence CIS through trade whilst looking for allies in China and elsewhere. The re-emergence of the Cold War is arguably due to Putin’s nostalgic dream of a powerful Russian state, which is yet to rise from the ashes. However, if the Soviets had communism as the central idea behind their huge state, Russian sentiment seems to dwell on the past ideals of the USSR and in doing so it is winning more enemies than friends. The long-standing idea that unites the USA is freedom, which is more appealing to the world than Putin’s nationalistic frenzy and nostalgia for the imperial and soviet splendidness. According to Putin’s speech in 2014, ‘The Cold War ended, but it did not end with the signing of a peace treaty with clear and transparent agreements on respecting existing rules or creating new rules and standards. 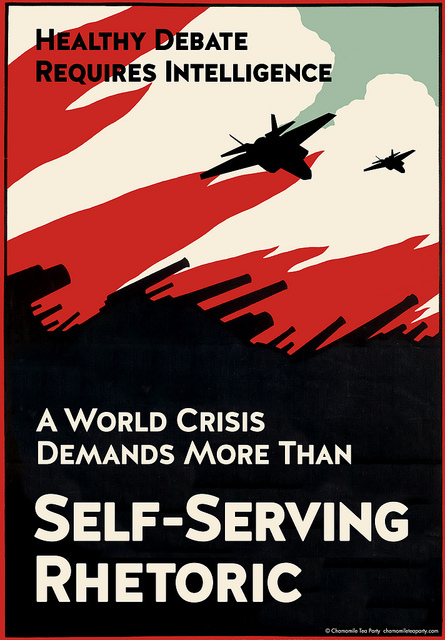 This created the impression that the so-called ‘victors’ in the Cold War had decided to pressure events and reshape the world to suit their own needs and interests.’ This partly explains the Russia’s sentiments and why the Western world and Russia compete militarily and politically. The ‘peace-making’ interventions of Russia and the US in the Baltic states or Syria are controversial. Be it a new form of the Cold War or not, it is evident that both the US and Russia try to reshape, remap and redistribute, and doing so is costing the lives of the innocent people. The worst thing is that being far away from the countries devastated by the conflict we often fail to make correct judgments about the situation; the worst thing is that the very citizens of these countries often fail to do so too. The Cold War has certainly re-clothed itself, but its weaponry remained unchanged: imperfect information and propaganda spread among the masses in the home countries, and artillery in the hotbeds of political unrest. The Russian foreign ministry has recently accused the Obama administration of attempting the ‘final destruction of relations with Russia’, which indicates a serious deterioration in relationships between Russia and the West. Perhaps the Kremlin’s aim is to create a more positive relationship with Obama’s successor and Russia’s disregard of the international law is the battle against ‘one nation’s attempt to enforce its decisions on the whole world’, as Mr. Putin describes the US action in Syria. The Cold War’s new artifice emerges from the struggle for the political influence in the world: cyber-attacks, military involvement, inducing hatred through rigorous propaganda. Mr. Putin believes in Russian exceptionalism, but the West believes in its own form of exceptionalism as well. And it is this idea of exceptionalism and superiority in the age of self-advancement that may lead to a serious escalation in conflict. The cover of the Washington Post (September 2013). Ted Cruz made arguments against the United States’ military involvement in Syria. As George Kennan’s ‘Long Telegram’ tried to demonstrate before the Cold War had even begun, the Kremlin’s view of world affairs was and, to a certain extent, still is ‘neurotic’. Back in the days of the Cold War the US failed to comprehend that just as much as the Western world feared communism, the USSR was afraid of ‘capitalist encirclement’. However, it is clear now that the struggle between two big states is often a struggle for the world’s resources, such as oil- such as wealth. As Kennan rightly stated, ‘much depends on the health and vigour of our own society’. This should be our focus and Russia should certainly not be antagonised or branded as a threat, otherwise the mentality of self-advancement will leave the world devastated and exhausted by the politics which favours the few.